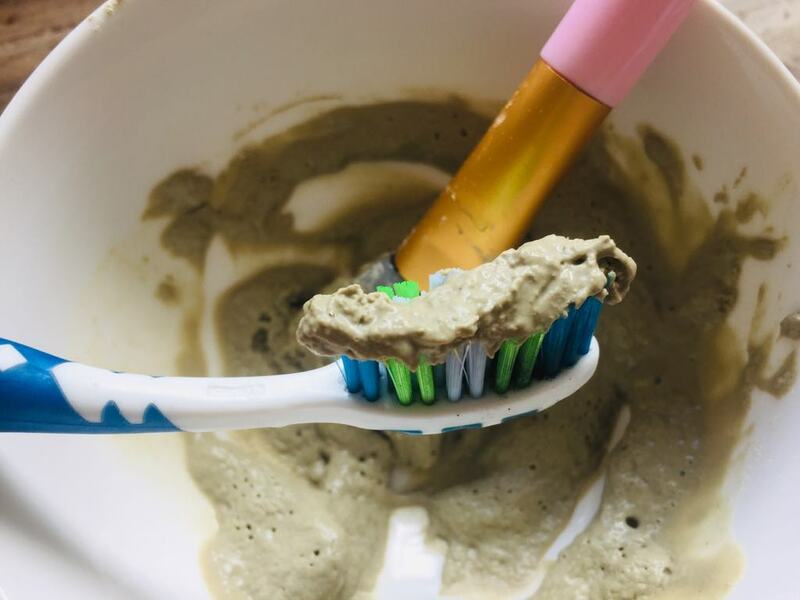 This easy and super effective DIY whitening clay toothpaste will clean the mouth, whiten teeth, and prevent bacteria in one fell swoop! Toothpaste, a simple product we slather on our toothbrushes and use to wipe away the day’s menu of food and beverage hoping to leave our teeth and gums healthy and white. But lurking in the depths of this seemingly simple product is a whole artillery of toxic ingredients that do more harm than good. And, as our mouths are extremely absorbent, whatever we put in them is directly flushed into our bloodstream. Even more reason to make sure you’re using a healthy toothpaste! Take Sodium Lauryl Sulfate (SLS) for example. It shows up in a number of products including toothpaste as a foaming agent. It is actually registered as an insecticide and its manufacturing process releases carcinogens linking SLS to potential toxic effects on the body, environment and marine life. Not to mention, it has been found to be an irritant and cause mouth sores. Bubbles are nice but I’ll take mine in the bathtub! Fluoride is another controversial ingredient that was once believed to be the answer to all tooth decay and other dental problems but is now confirmed to be a toxin. Over time, exposure and ingestion leads to toxicity build up in tissues which can cause dysfunction of both the thyroid and pineal gland, can disrupt enzyme production, and has been further found to be a neurotoxin affecting memory and learning. Yuck! Tetrasodium pyrophosphate is another commonly seen ingredient in commercial toothpastes. It is used as an emulsifier and has shown to be mildly toxic with the potential to cause irritation of skin, nose, throat and eyes. And, when ingested may cause vomiting or diarrhea. And those are just a few of the examples of things going in to your toothpaste to be aware of. Also watch out for triclosan (a pesticide), propylene glycol (known skin, eye, lung irritant), and diethanolamine (a hormone disruptor). But, enough of the nasty stuff. Let’s focus on the good stuff we can use for a natural, healthy, and effective homemade toothpaste! Bentonite Clay is a wonderful natural detoxifier and cleanser. It grabs on to all of the toxins, bacterias and debris in the mouth and pulls it all away while gently exfoliating and remineralizing leaving teeth and gums thoroughly cleaned and brightened. Coconut oil is another antibacterial and antimicrobial agent that can further dispel any unwanted bacterias and plaque build-up from the mouth while moisturizing dry, irritated gums and whitening. Sea salt is a natural mineral that works to remove stains and help strengthen enamel. Peppermint essential oil kills aerobic bacterias in the mouth helping to fight cavities and bad breath. 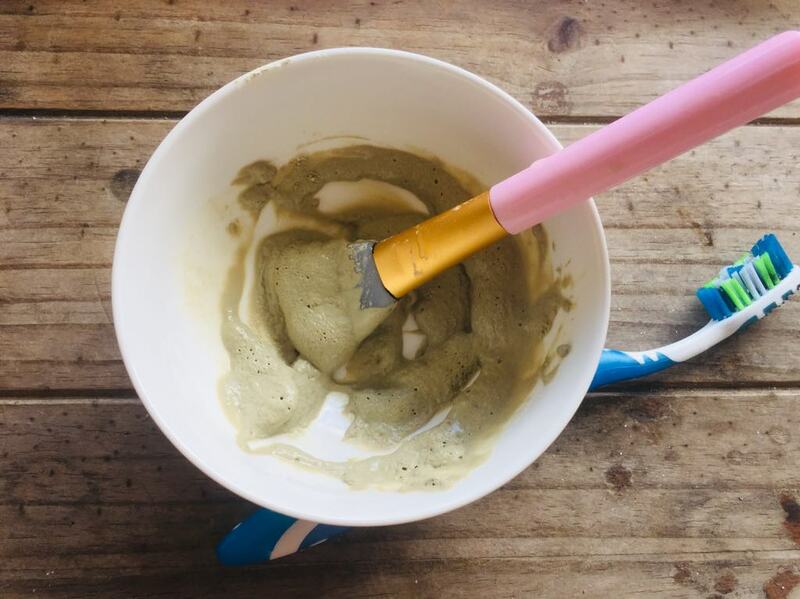 First combine the bentonite clay, liquid coconut oil, sea salt and peppermint oil in a glass jar and mix until the ingredients are well melded and starting to become paste-like. Next, slowly add in the water and continue to stir until you reach a desired consistency for your toothpaste. You may need more or less water depending. Store in a cool dry place and use liberally on teeth and gums.